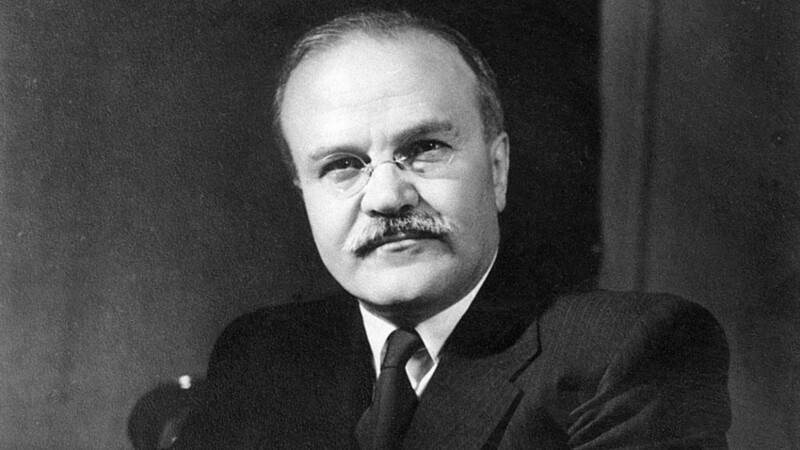 On March 9, 1890, Vyacheslav Molotov, one of the key figures in Soviet history, was born. A hardline Bolshevik loyal to Stalin, Molotov led a long and turbulent life. Here’s what you should know about this powerful and contradictory man. Young Molotov during 1917 revolution. Molotov's birth name was Vyacheclav Skryabin, and later he changed it to “Molotov” (molot means 'hammer' in Russian) in order to make it more pleasing to people's ears, and to manage his stuttering. Born into a family of merchants in Central Russia, he joined the revolutionary movement in the early 1910s and spent several years in prison. 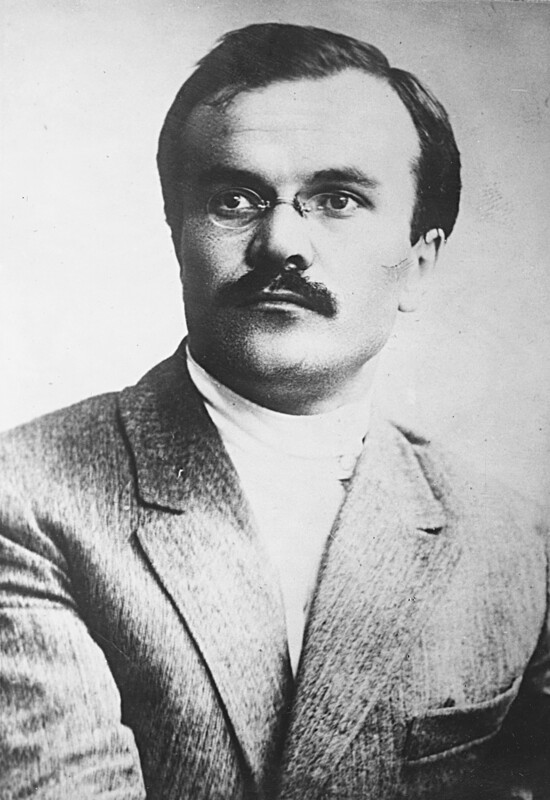 His first friend among prominent Bolshevik leaders was Joseph Stalin, and this relationship defined the rest of Molotov’s life. No matter what office he held, Molotov was devoted and loyal. Stalin and Molotov attend the opening ceremony of Moscow Underground. 1935. Moscow. USSR. In the late 1940s, Molotov, a diehard Stalinist, fell into disgrace. He was fired from his foreign minister post, Stalin ordered the arrest of his wife Polina Zhemchuzhina and then exiled her to Kazakhstan for being a “Zionist spy,” (which she wasn’t). Molotov loved his wife but remained silent and loyal; even such betrayal didn’t make him change his attitude towards Stalin. His biographer, Valentin Berezhkov, wrote: “Molotov used to make only three toasts: 'To Stalin! To Polina! To Communism!' When asked, 'Why Stalin? He arrested Polina, and almost destroyed you?' Molotov answered: 'He was a great man.'" During Stalin’s Great Purge in the late 1930s, extrajudicial sentences were common, and Molotov participated to a great extent. His signature is on 372 of “Stalin's shooting lists” – lists of people sentenced to (usually) execution by firing squad, as well as the imprisonment of key Soviet leaders without trial. Even Stalin signed fewer lists (357). Later when retired, Molotov admitted that some of the people executed were innocent. “Of course, we might have overdone things. It would be absurd to say Stalin knew nothing about it, but it would be wrong to say he’s the only one to blame. We lacked control over the security services,” he said to a journalist. 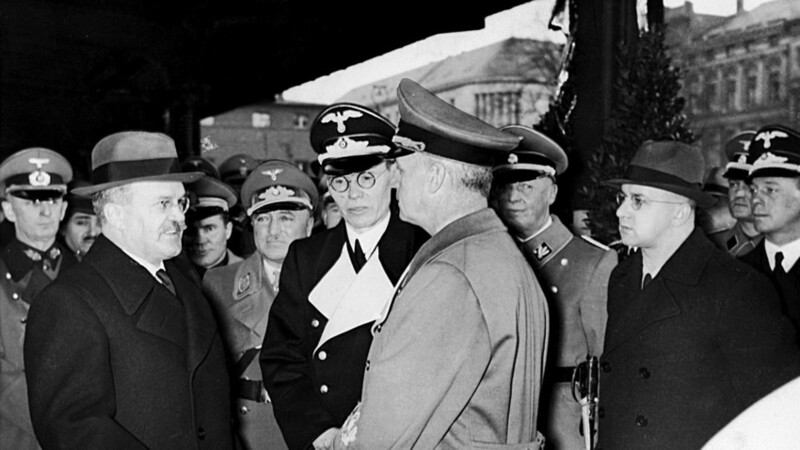 Molotov talks to Reichs Foreign Minister Joachim von Ribbentrop before Molotov's departure from Berlin on Nov. 14, 1940. The Soviet-German friendship lasted no longer than 2 years. In summer 1939, Foreign Minister Molotov and his German colleague, Joachim von Ribbentrop, signed a neutrality pact between the two countries, also known as the Molotov-Ribbentrop Pact. This agreement called for the USSR and Germany to invade and divide Poland. The deal with Hitler, however, didn’t work out well, and two years later on June 22, 1941, Germany invaded the USSR. Thus began the Great Patriotic War. 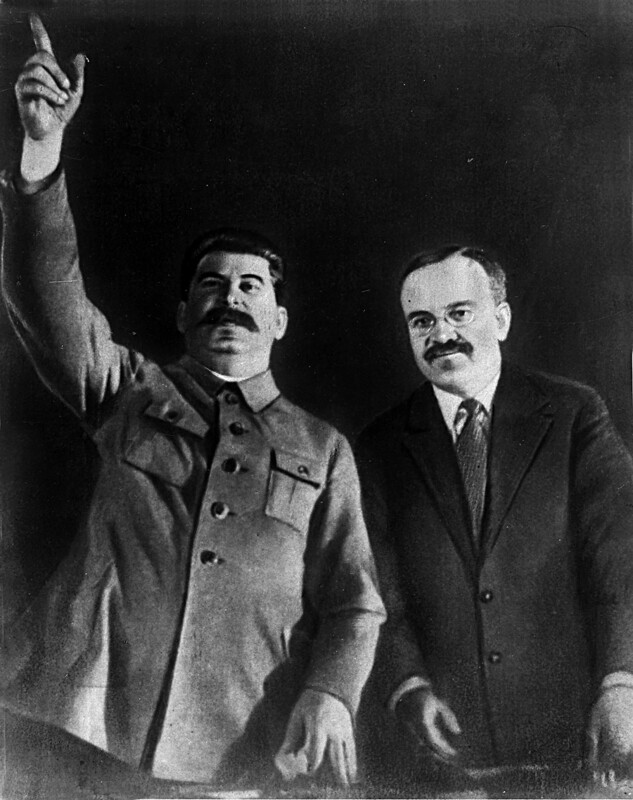 In the first day of the war, which took the Red Army by surprise and led to serious defeats, Molotov was the one who spoke to the Soviet people on behalf of the government – Stalin refused to do it. “Ours is a righteous cause. The enemy shall be defeated. Victory will be ours,” Molotov concluded his speech. And that’s what happened – almost four years and millions of people dead later. 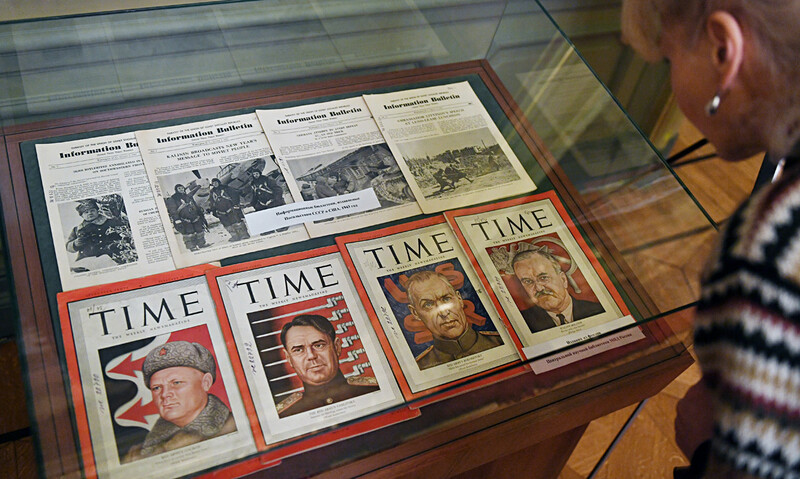 An exhibition devoted to the 75th anniversary of the rout of Nazi troops in the Battle of Stalingrad, with Time's cover with Molotov on it. History didn't forget Molotov - but his compatriots did. Soon after Stalin’s death, Molotov once again fell into disgrace, this time following a conflict with the new leader, Nikita Khrushchev. He lost all his state positions and lived the rest of his life as an ordinary pensioner. In 1961, the authorities expelled Molotov from the Communist Party. Only 23 years later, in 1984, Molotov was rehabilitated and once again was granted membership in the Party. People used to joke, mocking the Soviet gerontocracy, that then Soviet leader Konstantin Chernenko, who was 73 years old, saw the 94-year-old Molotov as his successor. In reality, Molotov died two years later, in 1986, just four years before turning 100. 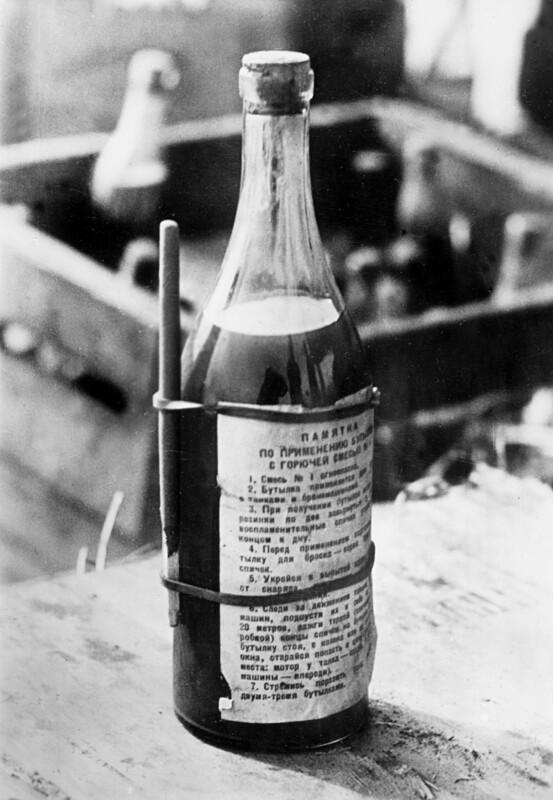 Molotov cocktail - a weapon Molotov gave his name to unintentionally - in fact, his enemies named it after him with irony. During the Winter War of 1939-1940 (between the USSR and Finland), the Finns used petrol bombs to torch Soviet tanks and trucks. These exploding bottles were filled with a mix of ethanol, tar and gasoline, and were nicknamed, "Molotov cocktails. It was “a drink to go with food” – the bombs dropping on Finland were ironically called “Molotov bread baskets" because Molotov used to state that the USSR was dropping food over Finland. Molotov had several other things named after him. For instance, from 1940 to 1957 the city of Perm (1400 km east of Moscow) was named in his honor. Today, people primarily remember Molotov’s name in reference to the cocktail, but there are also music bands such as Molotov (Mexican rap-rock), and Molotov Solution (American deathcore). While it's unlikely that Stalin’s minister would appreciate such use of his name, these bands, just like he was, are pretty brutal. If you are willing to learn more on how Molotov lost his power after Stalin’s death, read our story about the power struggle in the Soviet elite after Stalin’s death.